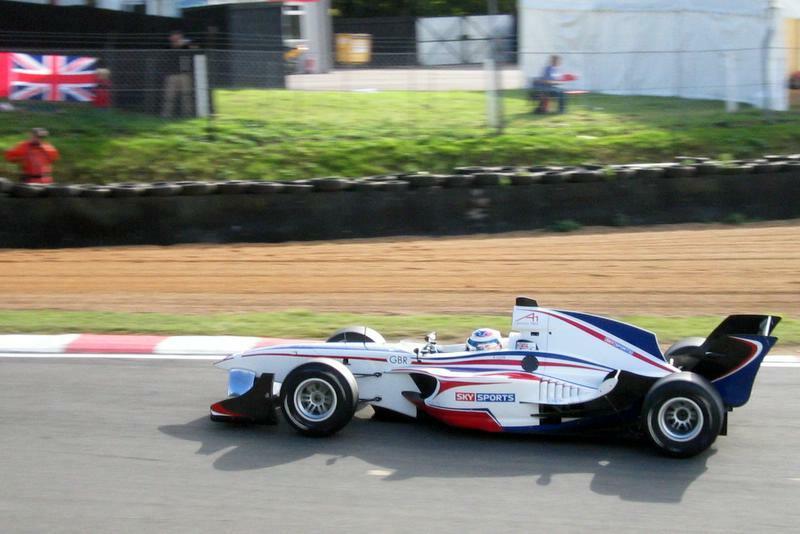 A1 GP @ Brands; CHip buys a 7! By Steve Foster. All the photos above are by Steve Foster. All the photos above are by Jason Brown. The Shoulder of Mutton continues to do us proud and even served up double portions of sausages and chips to cater for a full turn out on the Wednesday. For the Thursday meeting, many of the speed-eating specialists were not present. Thus we could partake in the SoM's finest at a more leisurely eating pace. 17 have signed up for the Hogs Back Brewery tour (20th Oct). We should raise £60 for LRF and have fun for sure. Cameras will be at the ready as there might be a few good pics for LF there. 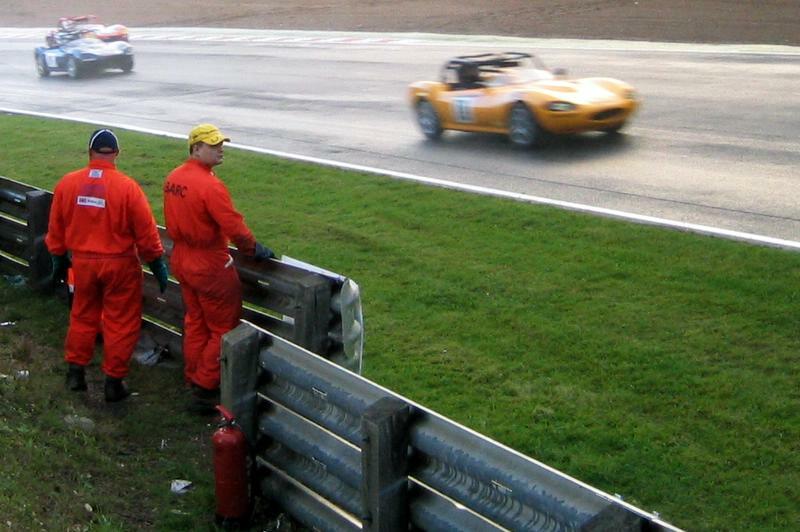 Several members from our area attended the Brand Hatch A1 GP. Many thanks to Jason, for giving me a lift. This was the inaugural event and there was a good level of excitement and anticipation. Time will tell if the concept catches on and the racing settles in as experience is gained. Brazil's N Piquet (Jnr) certainly made his mark by winning both sprint and main races. Unfortunately Team GBR's car conked out with electrical failure in the main race. This was after a fantastic pit stop put them in the lead. 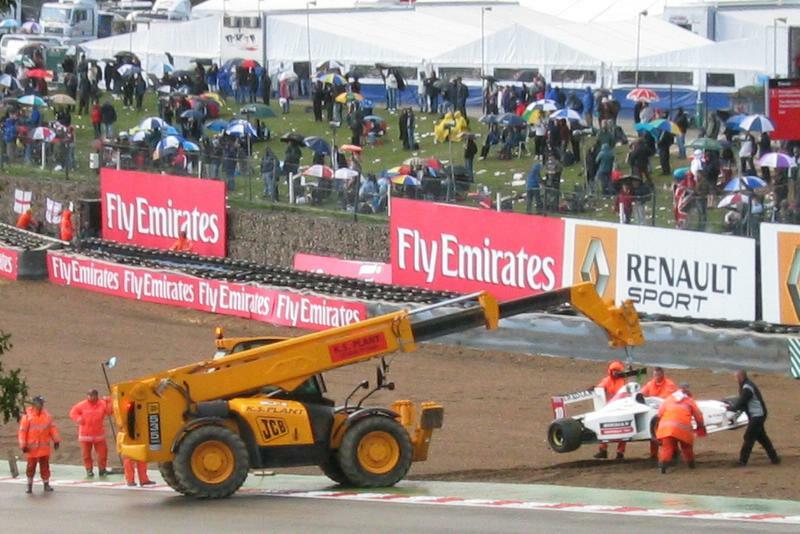 Many of the teams had clearly not practised pit stops / wheel changing enough. Team GBR had. 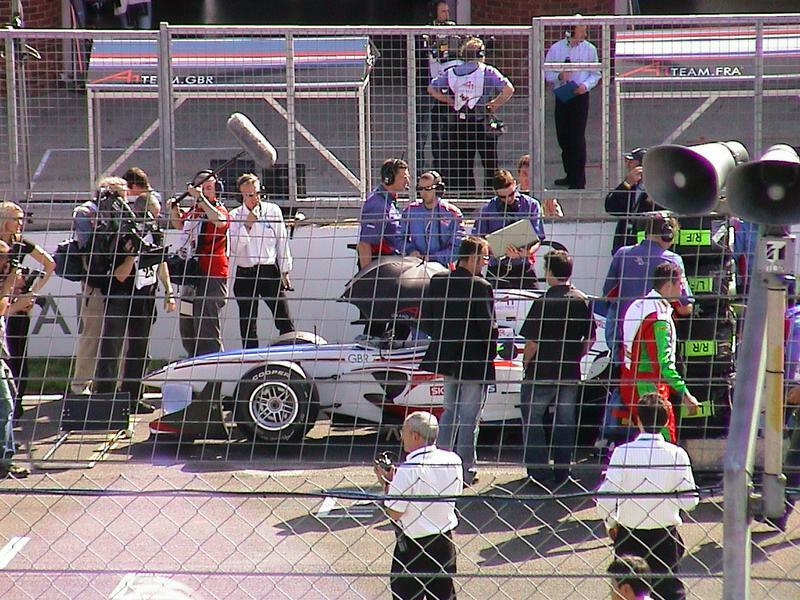 As we were sitting right in front of the pits we had a good vantage point to this and many other pit lane issues. It was really the support races that made it worthwhile going for my part. GT, F1 Thoroughbreds, Caterhams and Ginettas (the latter in the wet) were all of great interest. Personally, Formula Palmer are rather less interesting to me. 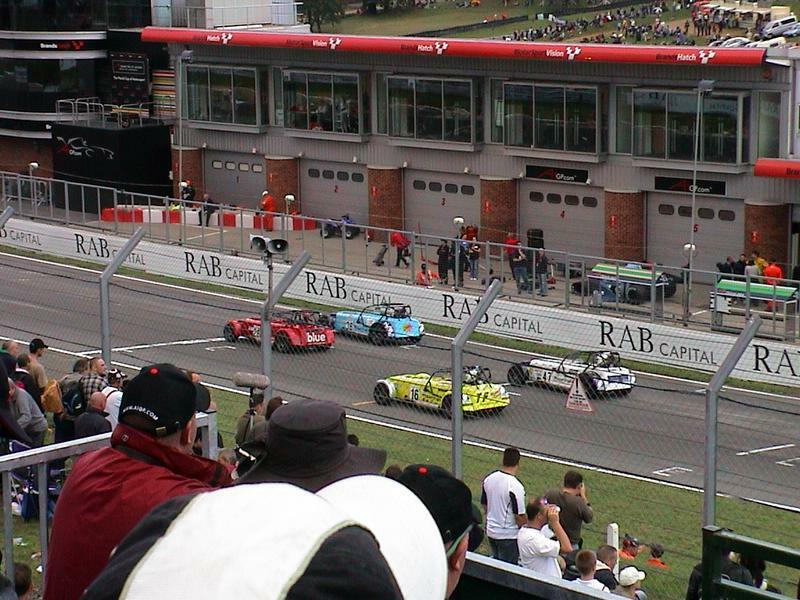 The Caterham racing was as to be expected the closest, most exciting and least predicable. I did think them pretty well behaved too. It took about 3 and a half hours to get home vs about 1 and a half hours to get there due to considerable queuing to get out of the circuit and on the surrounding motorways. I finally got around to fitting my new half doors and now having looked at Kev's, I need a proper cut-down tonneau to match. Kev gets pub quote of the month. Phil W remarked that it was the quote of the month at the time! Trouble is neither Phil W nor I can remember it, only the day after! So it was obviously totally forgettable. Sorry Kev! Bozz's leaky halfshaft seal seems to be holding up with some JBWeld on it. 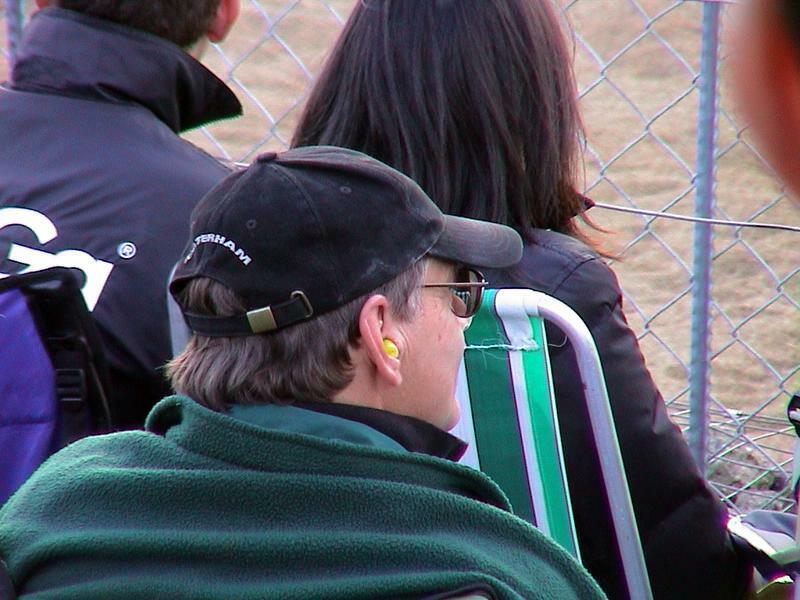 Brent had man-flu and so could not attend the last Thurs meeting. How's the snivel Brent? Andy W is away most of the time but still chimes in on Blatchat from time to time. CHip is finally getting a 7. 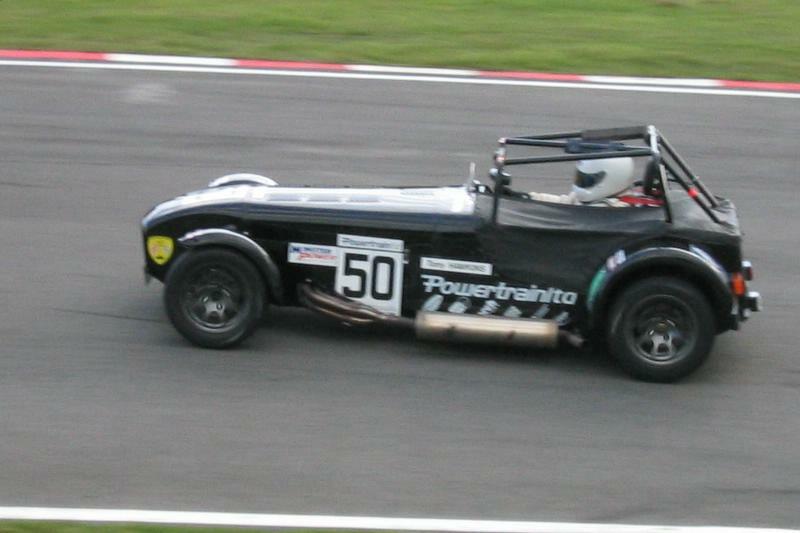 Many cold blats and trackdays as well as race licence qually lie ahead of him this winter. It looks like I will be holding an XF/Weber DCOE tuning course for CHip and Rob W (location Amazingstoke, indeed!) one weekend over winter. Keep 'em fettled lads! Phil W still has mapping issues. When I get my wideband monitor back repaired from Bill S then we must do a mapping day where we passenger in each others cars and map them to near perfection. Steve M has been getting his hands on carpet tiles galore for himself and other members. Carpet tiles in the garage are fab! A certain Fiat Multipla appeared well loaded down with them at the last Thurs meeting. 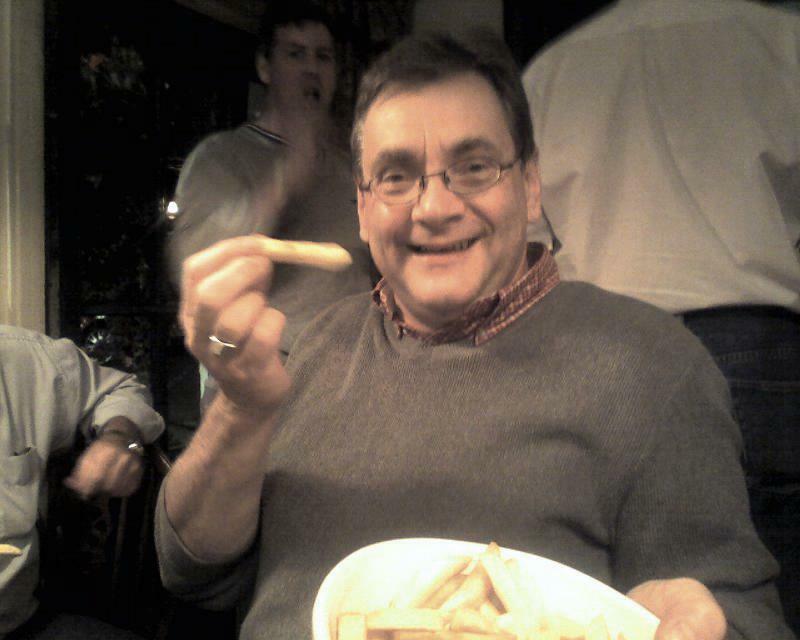 The Xmas meal and quiz will be held at the Shoulder of Mutton on the 14th of December. The mixture of the Shoulder of Mutton's excellent Xmas cuisine, Darren's quiz (oooh, must sort out some prizes for that...) and a chance to meet a few other halves awaits. Contact me if you wish to partake. BlatChat discussion of the Second Wednesday meeting. BlatChat discussion of the Last Thursday meeting. This page is http://www.strangely.org/7club/meetings/200509/index.html. It was first published on Tuesday 18 October, 2005 and last updated on Tuesday 18 October, 2005.